“I am delighted with Restorator: It has made the function of updating my internal resources infinitely simpler..... against running the traditional resource compiler along with a boat load of resources. “[...] thanks for Restorator, a grand editor. “Thanks for the great program I am very pleased with it. “Your program is one of the few out there that are in my shareware/freeware elite group. “I think it is remarkable to think someone out here in our WORLD has thought of doing such a wonderful program.... I really think this is a wonderful product... I am going to start customizing all my software.... [...] Had I been in your shoes I don't think I would have developed such a versatile Tool. This program is GREAT! “I bow to you. 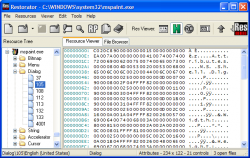 I have been editing using a hex editor for all my programs, and projects before. When I found yours I was just simply amazed at what you did. “Your program is very useful for me, I'm glad to find a program like that. Before, I was using Dot.Net and Visual Studio for resource editing but because of their several bugs most of the time I had to reprepare the same dialogs many times. 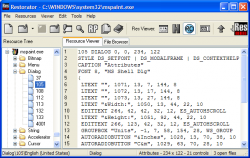 “But we found an even better (although admittedly not free) resource-editing tool for extracting, replacing and doing other exciting things with images, icons, dialogs, menus, and text in executables and Dynamic Link Libraries [than Res Hacker]. “Thanks for the wonderful tool you have created for us French-Canadian amongst others. “Wow - I am REALLY impressed with Restorator so far [...] all-in-all it looks REALLY neat so far. So many features! “Great program by the way. This will really help me in my studies. “Looks FANTASTIC so far [...] Keep up the wonderful work. “Restorator has saved me.. 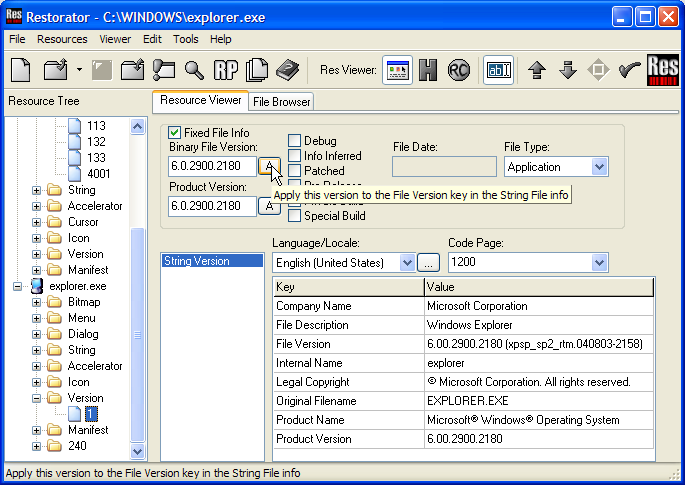 The simplicity of your program to extract the exe files, has now made it to a point that I am able to debug faster with more accuacy then ever before. 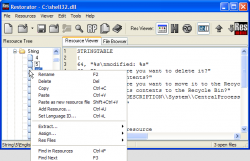 “Tell you the truth, Delphi was my one greatest fear until I started using your program I began to understand and like Delphi better than Visual Basic. “Thank you for the (always) quick response and thanks for putting out a great program. “You have an AWESOME product. “In a word - Restorator is the useful and helpful tool for a developer. Thank you for your work. 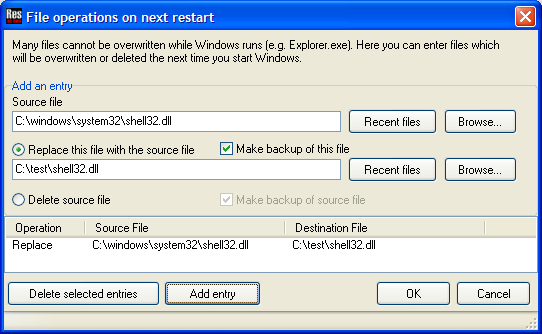 “The deciding factor for Restorator was the comfortable handling of *.res files for the import of modified resources. “It sports a built-in file system viewer (sort of Windows Explorer-like) and can open multiple files simultaneously, which lets you drag resources from one file to another. How cool is that? “You've got an excellent product. “Restorator is by far one of the best products out on the net that allows a user to expand not only an understanding of an application, but allows the user to change and correct missing source code applications with great ease. “Well.. I liked restorator so much that I have devoted a personal site to it.... Thanks and keep up the good work!!!!! “This is an excellent utility and at $70 is well worth the price. 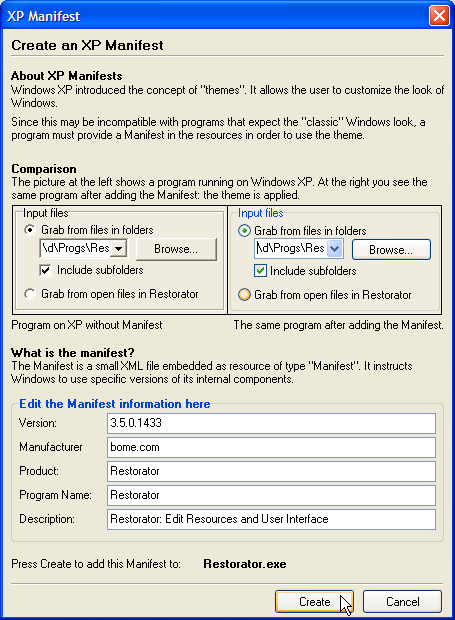 Restorator is an award-winning utility for editing Windows resources in applications and their components; e.g. 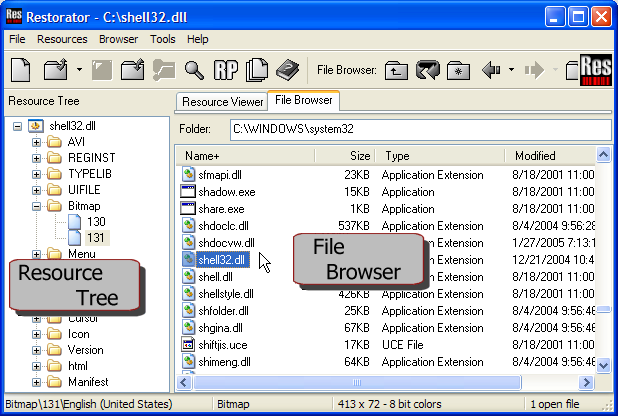 files with .exe, .dll, .res, .rc, and .dcr, extensions (see PE files and RES files in the manual). “And the really cool thing is: With Restorator you need NO technical knowledge of program’s internals to do it. The world SHOULD run like this. “It’s a must have softie for anyone who has even a small amount of curiosity, and mainly creativity. Look at the tutorials to see how easy your task has become. 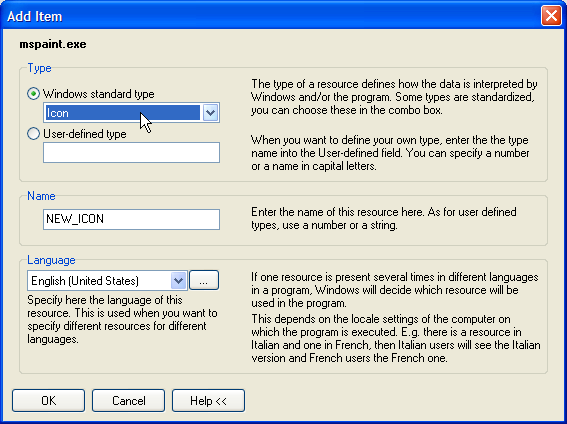 Windows provides some standard resource types whereas other resource types may be defined by the programmer and are displayed by Restorator in upper case (e.g. 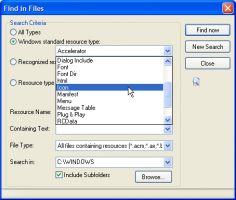 resource type “AVI” – see the search tutorial ). View resources in different modes. In the Default Mode you can listen to audio, look at images and find all resources that need translation. 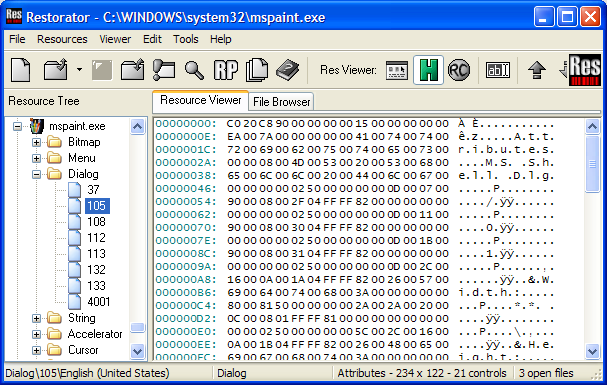 In Hexdump Mode you get access to the raw data. 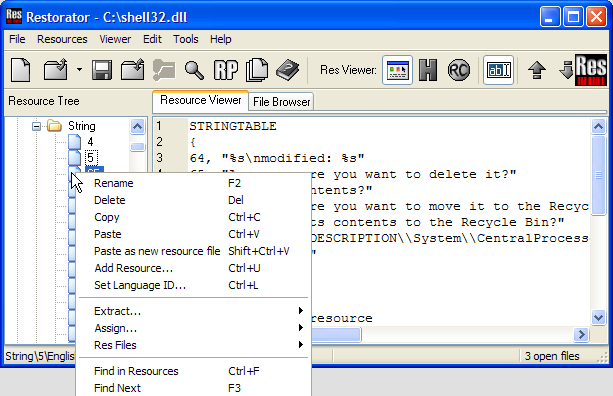 In the RC Resource Mode you see the resource entry in standard RC format. To apply, open Restorator.exe in Restorator 2018, then drop the .res file on it. 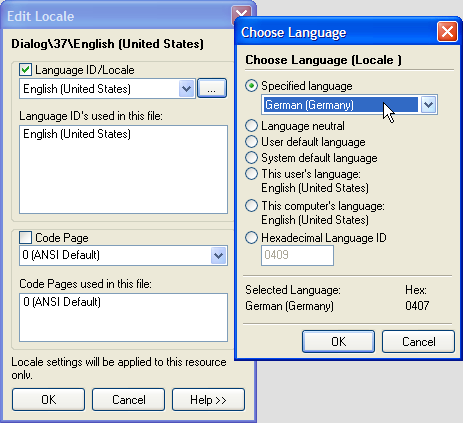 The translation pack also works with the full version. Thanks to Sergey Shikharev for the translation. 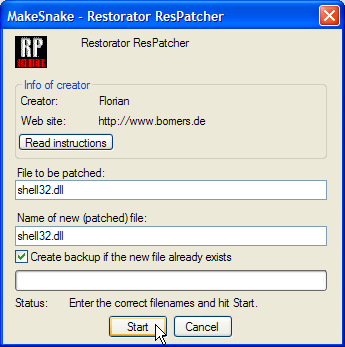 Adds texts (“Patched with Restorator” etc.) 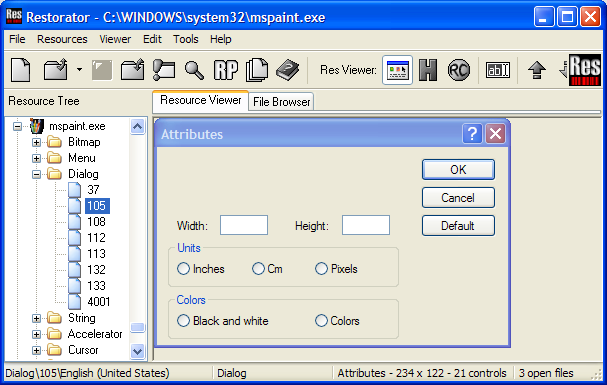 to MENU, DIALOG, and VERSION resources upon saving. 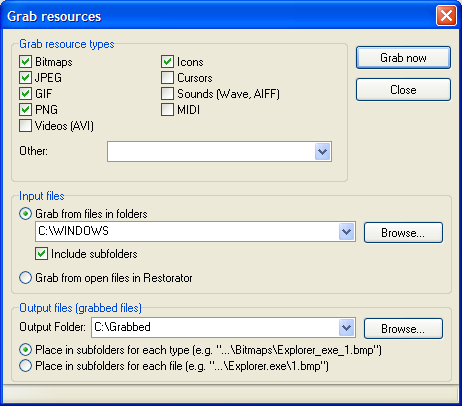 Does not include ResPatcher or the Grab Resources tool. release automated modifications (patches) with ResPatcher. 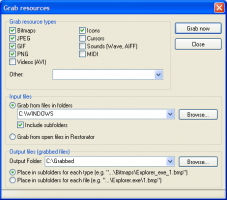 extract resources in all files anywhere on your hard drive with Grab Resources. all latest features and enhancements included. Read below for a detailed description of the order process..
…or request a quote (volume/site/block licenses). …or inquire about alternative payment methods. Updates and Upgrades are available for 20-40 euros. Please go to the Update and Upgrade page. As a student, you can order the student version at 50% off the original price. This license is also available for users with very low income or a weak currency: please ask first. The student license only includes minor updates of Restorator. Support is limited to the public discussion forums. Restorator should be purchased through ShareIt, a web-based service that makes payment easy and secure. Credit card payment is simplest; for questions regarding the processing of your order, security issues, etc. go to ShareIt’s Customer Care Center. Restorator’s program number at ShareIt is 103068. After completing your purchase, you will receive an email from ShareIt with the license key. Copy it from your email program to the clipboard (the license key is quite large) and click "paste" in the license dialog of Restorator when you start the full version for the first time. ShareIt is only responsible for payment matters. For everything else contact Bome Software by going to the contact page. The simplest, quickest and very secure method of payment and of receiving the license key is via the Internet. Special licenses, bundles, site licenses, etc. are available upon request. Please use the request a quote form. See the command line parameters in the reference manual for more info. See the reference manual for more info. 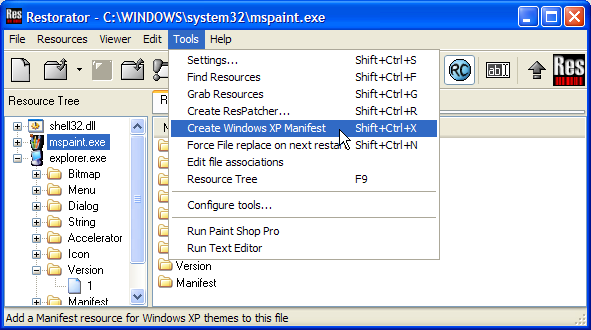 bugfix: copy/paste/drag’n’drop of cursor resources caused "corrupt resource"
bugfix: when running as user with limited rights, the exe association could be accidentally overwritten. See the forum thread for more info. when importing strings, do not overwrite existing strings in the same block. 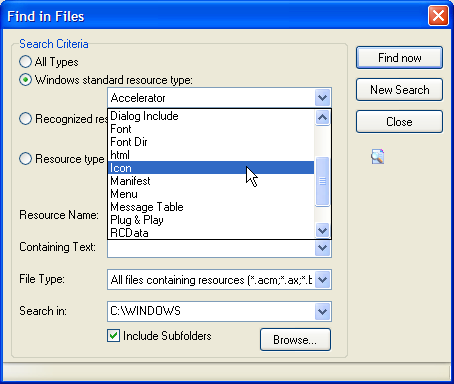 extended RC file support: open RC files in left resource list. See RC Files in the reference manual for more info. 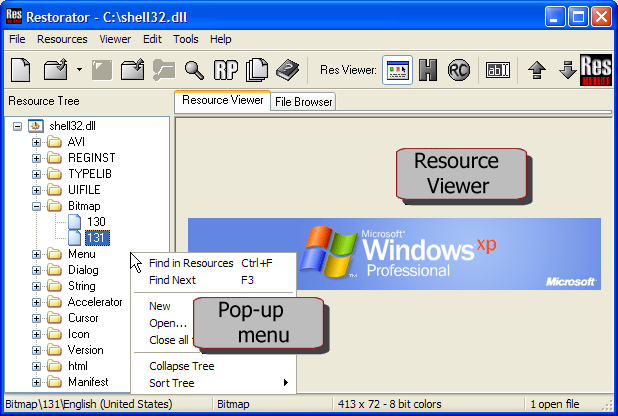 Resource Viewer: added edit menu for copy/paste/etc. bug fix: status bar displays information about last opened resource even after closing file. Easy adding of a file to a res file: just drop it on it. (file type is recognized automatically). This works the same for assigning now. that have been changed in previous sessions. 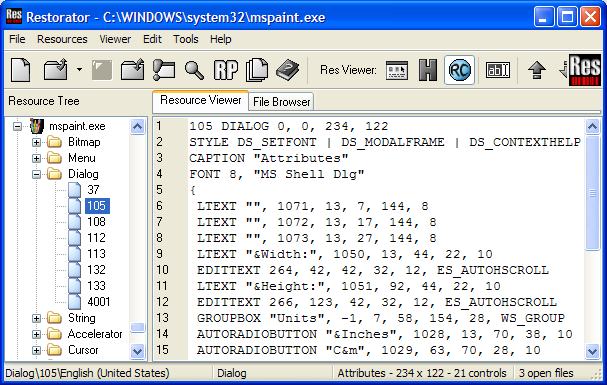 improved compatibility of dialog display. Now all dialogs are displayed. Here are a few of the many awards Restorator has won. 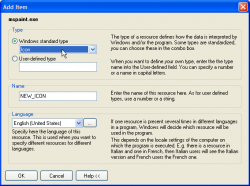 The Tutorials (Usage Examples) are examples of typical usage scenarios. Step-by-step guides with annotated screenshots make it easy to follow them by yourself. The Documentation (Reference Manual) pprovides descriptions of all features and functions of Restorator. The Frequently Asked Questions section provides ansers to the most often encountered problems. The Links page refers to other helpful sites. Email support is reserved for licensed users (i.e. only if you have purchased Restorator). Here are some original statements that users made about Restorator.